Sitting on the terrace of a Paris cafe, a young Chinese woman glances nervously at her mobile phone as a message from a police officer in her native Xinjiang region pops up. A member of China's Muslim Uighur minority, Mariem travelled halfway around the world to study in France, but has found herself pulled into a mass security crackdown under way back home. "They want to know where I live, what I do, how I spend the weekend. They want me to give them information about Uighurs here. They threaten my family who beg me do do what they ask," she said, visibly stressed. Mariem is one of several ethnic Uighurs in France who shared accounts of harassment by Chinese authorities and expressed concern for missing family members caught up in sweeping security operations back home. All their names have been changed to protect their identity. AFP saw messages several Uighurs received from the authorities on China's messaging application WeChat. "Do you have your degree now?" one officer asks a student. "Send me your address and tell me who you work for and what your degree is," reads another message. "Why don't you send photos?" another person returning from holidays is asked. On Monday, Chinese officials were grilled by a UN human rights committee in Geneva over reports that it is holding up to one million Muslims, mostly Uighurs, in camps under cover of a massive anti-terrorism drive. 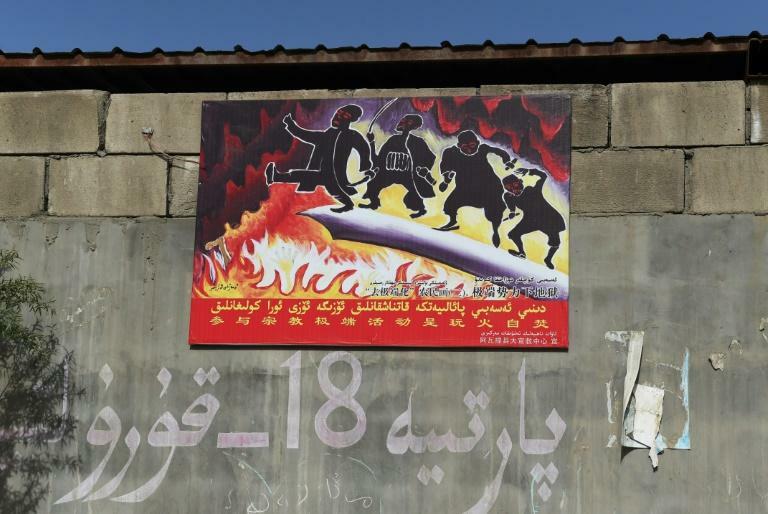 China has pointed to a series of attacks in Xinjiang by suspected Islamist radicals in recent years as justification for a draconian clampdown in a region with a long history of tensions with Beijing. But it has called the reports of internment camps "completely untrue", saying that the "education and training centres" to which "minor criminals" are assigned serve merely "to assist in their rehabilitation and reintegration". Several NGOs and China experts believe that what is under way is far more sinister, saying accounts from former detainees and official documents point to a massive programme of political and cultural indoctrination. Last year, China banned "abnormally long" beards and Muslim veils in Xinjiang and ordered all car owners in the region to install GPS tracking devices. 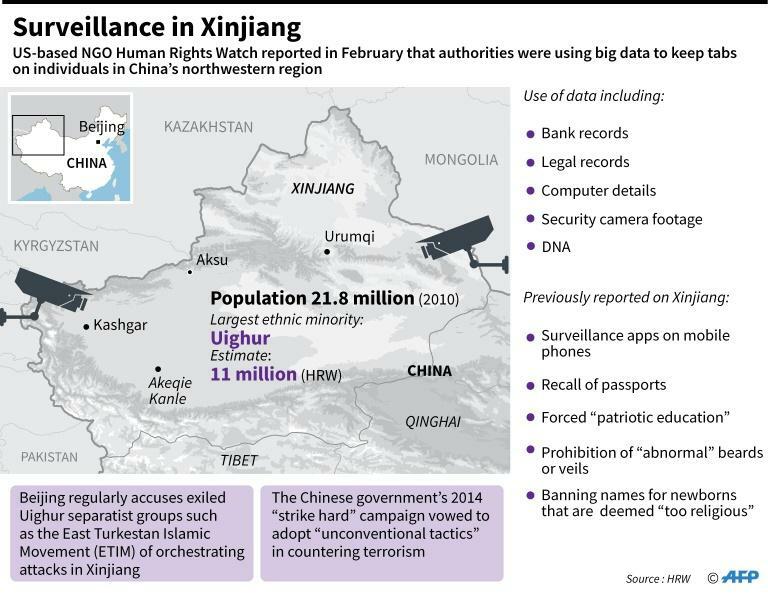 In December, New York-based Human Rights Watch reported that Xinjiang authorities were planning to collect biodata from all residents. 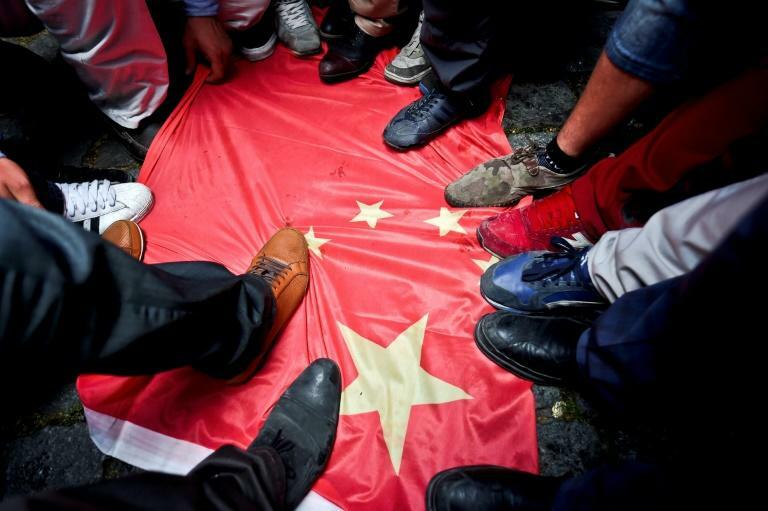 "An Orwellian society has been put in place in Xinjiang," Thierry Kellner, a politics professor at Belgium's Universite Libre de Bruxelles specialising in China and the Muslim world, told AFP. A report published by US-based security analysis group Jamestown Foundation in May estimated that "at least several hundred thousand and possibly just over one million" people had been interned as part of a "pacification drive". "This is unprecedented and exceeds anything that China has done in any other region including Tibet," the report's author, Adrian Zenz, told AFP. Surveillance of overseas Uighurs is also "a very common practice", Kellner said. Questioned about the allegations the Chinese foreign ministry said it was "not aware" of any such practices. Nijat, a young man who arrived in France on a student visa in 2007, deleted his WeChat account after getting a call from a person claiming to be a police officer who asked for a copy of his passport and visa. "He said if I didn't cooperate my family would get into trouble," he told AFP. For months now he has been without news of his sister and his parents, who asked his brother in Canada to stop calling home, fearing the contact was inviting unwelcome attention. At a Uighur rally in Paris in July, AFP also met Adil, who held aloft a photograph of his grandmother and brother, who he claimed were being held in camps in Xinjiang. Adil first moved to Turkey, which has close religious and cultural ties to Xinjiang. But after Turkey began cracking down on "anti-Chinese" forces at Beijing's request he fled to France, leaving behind another brother, of whom he also has no news. Mariem says her family is also in the state's sights. One of her brothers has been arrested and the other has disappeared. "I cannot get hold of him. When I ask about him I get conflicting information. I think he has been sent to a camp," she said. She fears she could face a similar fate if forced to return home to renew her passport, a service usually available to overseas citizens through their embassy but which has been denied to her. Questioned by AFP about similar claims of passport "blackmail" from other France-based Uighurs, the Chinese foreign ministry said that the issuing of travel documents was China's "internal affairs". "Chinese embassies and consulates have always been issuing passports and other travel documents to overseas Chinese citizens in accordance with laws and regulations," it added. This way to the Belt and Road Forum ... Or it is this way? Or this way?